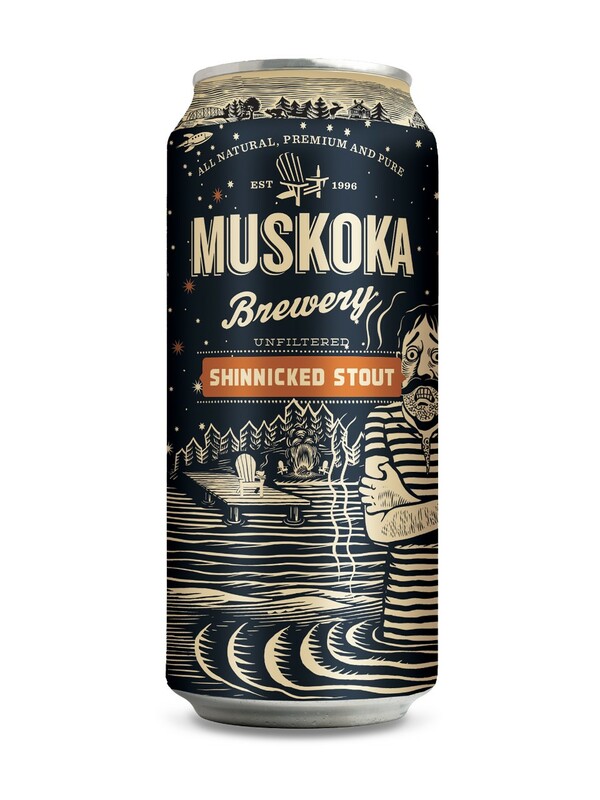 A stalwart of the Canadian craft beer scene since 1996 – Muskoka brewery has always made consistent, well rounded beers in a variety of styles to please almost anyone. Starting off slow but becoming one of the more established and well known breweries in Ontario that’s now branching into the U.S. and even starting it’s line of distilling products. Shinnicked is that numbing, gasp-for-breath feeling you get when plunging into a Muskoka lake for a chilly late-night dip. To warm you up afterward they created this rich, velvety stout infused with Muskoka Roastery’s Signature Lumberjack coffee. Velvety smooth with higher carbonation for a lighter mouthfeel. Dark roasted chocolate flavours complement strong coffee notes, present from roasted coffee additions.